Pure has dropped a new digital radio, Evoke F3, to add to its impressive collection, featuring Bluetooth and Spotify Connect as well as digital and FM radio. 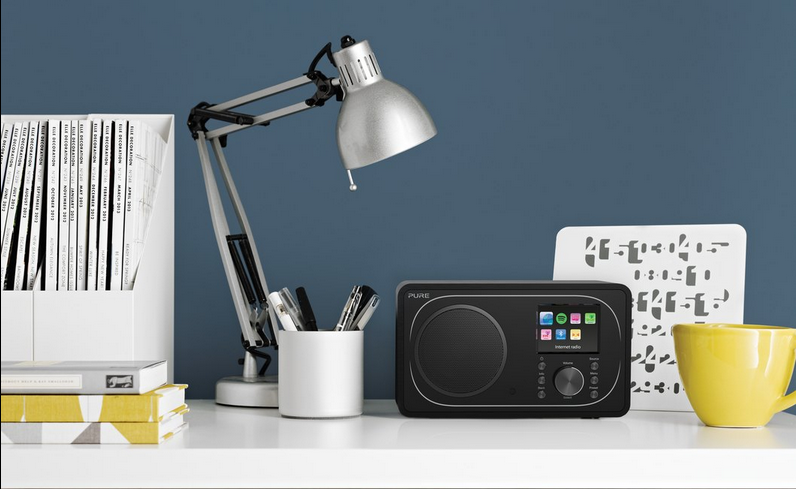 Joining a host of other connected audio products by Pure, including the award-winning Evoke F4, One Flow and stylish Sanderson collection, the Evoke F3 is a compact table-top radio with a range of great features. For starters, Evoke F3 is equipped with a high-quality speaker which has been carefully designed by the Pure audio engineering team so that both music and speech content is delivered in a clear, well-balanced and defined way. This is complemented by the Evoke F3’s real wood cabinet and powerful amplifier, which have been deliberately selected to ensure a rich and powerful sound. Perhaps the best thing about the Evoke F3 is its ease of use. There’s a simple-to-read 2.4 inch full colour TFT display (which looks very smart) and remote control, so that you can navigate musical collections to find whatever you’re looking for. In addition, you’ll find Pure’s full internet radio service is highly useful, with instant access to over 25,000 stations worldwide, as well as ‘listen again’ programmes and around 270,000 podcast episodes. The slick search menu also facilitates navigation – you can scroll through and select by genre, station name or country. Pure’s Evoke F3 is available to buy now for £129.99 from most electronic retailers.